I’ve created an easy to use R script that will import your data, and performs and writes up a state-of-the-art dependent or independent t-test. The goal of this script is to examine whether more researcher-centered statistical tools (i.e., a one-click analysis script that checks normality assumptions, calculates effect sizes and their confidence intervals, creates good figures, calculates Bayesian and robust statistics, and writes the results section) increases the use of novel statistical procedures. Download the script here: https://github.com/Lakens/Perfect-t-test. For comments, suggestions, or errors, e-mail me at [email protected] The script will likely be updated – check back for updates or follow me @Lakens to be notified of updates. Yap and Sim (2011) show that no single test for normality will perform optimally for all possible distributions. They conclude (p. 2153): “If the distribution is symmetric with low kurtosis values (i.e. symmetric short-tailed distribution), then the D’Agostino-Pearson and Shapiro-Wilkes tests have good power. For symmetric distribution with high sample kurtosis (symmetric long-tailed), the researcher can use the JB, Shapiro-Wilkes, or Anderson-Darling test.” All four normality tests are provided in the R script. Levene’s test for the equality of variances is provided, although for independent t-tests, Welch’s t-test (which does not require equal variances) is provided by default, following recommendations by Ruxton (2006). 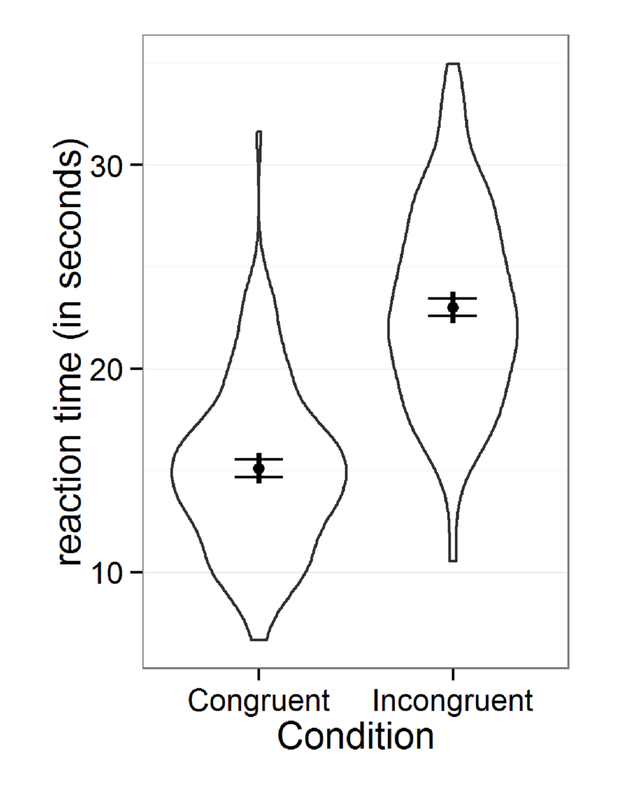 A short explanation accompanies all plots and assumption checks to help researchers to interpret the results. The R Markdown script and the ReadMe file contain detailed instructions on how to run the script, and how to install required packages, including the PoweR package (Micheaux & Tran, 2014) to perform the normality tests, HLMdiag to create the Q-Q plots (Loy & Hofmann, 2014). ggplot2 for all plots (Wickham, 2009), car (Fox & Weisberg, 2011) to perform Levene’s test, MBESS(Kelley, 2007) to calculate effect sizes and their confidence intervals, WRS for the robust statistics (Wilcox & Schönbrodt, 2015), BootsES to calculate a robust effect size for the independent t-test (Kirby & Gerlanc, 2013), BayesFactor for the bayes factor (Morey & Rouder, 2015), and BEST (Kruschke & Meredith, 2014) to calculate the Bayesian highest density interval. The data file (which should be stored in the same folder that contains the R markdown script) needs to be tab delimited with a header at the top of the file (which can easily be created from SPSS by saving data through the ‘save as’ menu and selecting ‘save as type: Tab delimited (*.dat)’, or in Excel by saving the data as ‘Text (Tab delimited) (.txt)’. For the independent t-test the data file needs to contain at least two columns (one specifying the independent variable, and one specifying the dependent variable, and for the dependent t-test the data file needs to contain three columns, one subject identifier column, and two columns for the two dependent variables. The script for dependent t-tests allows you to select a subgroup for the analysis, as long as the data file contains an additional grouping variable (see the demo data). The data files can contain irrelevant data, which will be ignored by the script. Finally, researchers need to specify the names (or headers) of the independent and dependent variables, as well as grouping variables. Finally, there are some default settings researchers can change, such as the sidedness of the test, the alpha level, the percentage for the confidence intervals, and the scalar on the prior for the Bayes Factor. Statistical software is built around individual statistical tests, while researchers perform a set of procedures. Although it is not possible to create standardized procedures for all statistical analyses, most, if not all, of the steps researchers have to go through when they want to report correlations, regression analyses, ANOVA’s, and meta-analyses are sufficiently structured. These tests make up a large portion of analyses reported in journal articles. Demonstrating this, David Kennyhas created R scripts that will perform and report mediation and moderator analyses. Felix Schönbrodt has created a Shiny app that performs several meta-analytic techniques. Making statistical innovations more accessible has a high potential to substantially improve the quality of the statistical tests researchers perform and report. Statisticians who take the application of generated knowledge seriously should try to experiment with the best way to get researchers to use state-of-the-art techniques. R markdown scripts are an excellent method to combine statistical analyses and a written report in free software. Shiny apps might make these analyses even more accessible, because they no longer require users to install R and R packages. Despite the name of this script, there is probably not such a thing as a ‘perfect’ report of a statistical test. Researchers might prefer to report standard errors instead of standard deviations, perform additional checks for normality, different Bayesian or robust statistics, or change the figures. The benefit of markdown scripts with a GNU license stored on GitHub is that they can be forked(copied to a new repository) where researchers are free to remove, add, or change sections of the script to create their own ideal test. After some time, a number of such scripts may be created, allowing researchers to choose an analysis procedure that most closely matches their desires. Alternatively, researchers can post feature requests or errors that can be incorporated in future versions of this script. To leave a comment for the author, please follow the link and comment on their blog: Daniel Lakens.